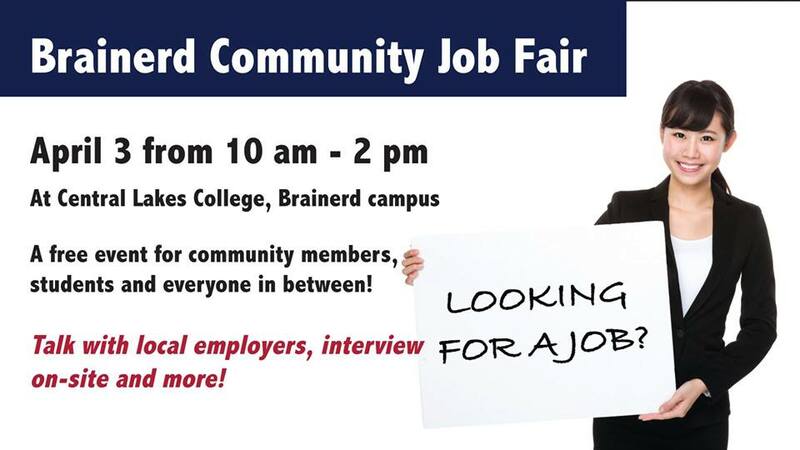 Brainerd Community Job Fair – sponsored by: Hubbard Broadcasting, Brainerd Dispatch, Central Lakes College and Rural Minnesota CEP. A free event for everyone! Talk with local employers, interview on-site and more!